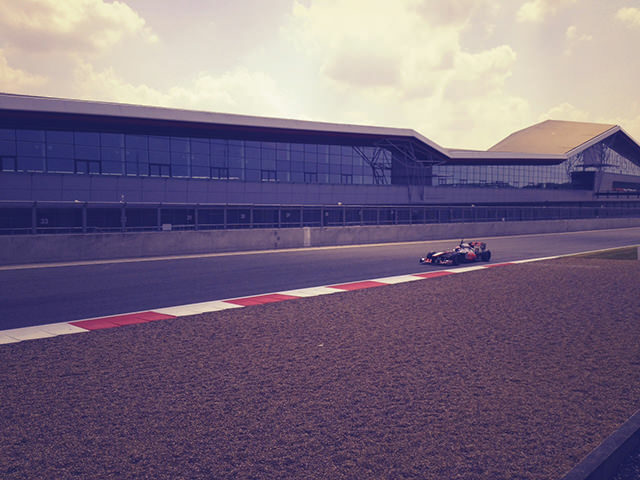 Silverstone opened their gates to fans as the "young" driver test of 2013 got underway, and we were there! 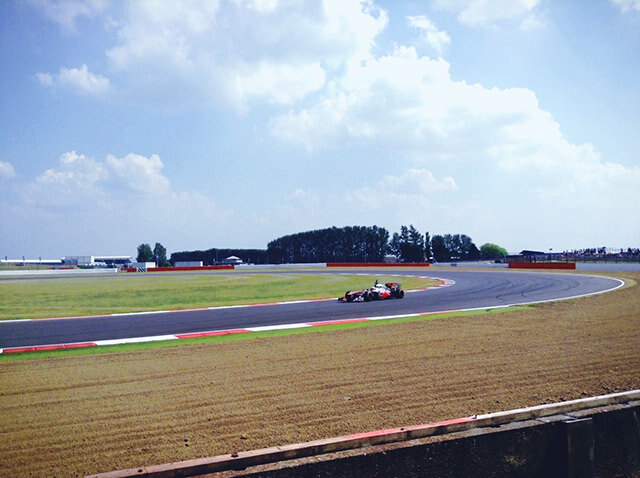 Finally making it out of the house on one of the hottest days of the year, we rolled up at the home of British motorsport to check out those Formula One cars in action. 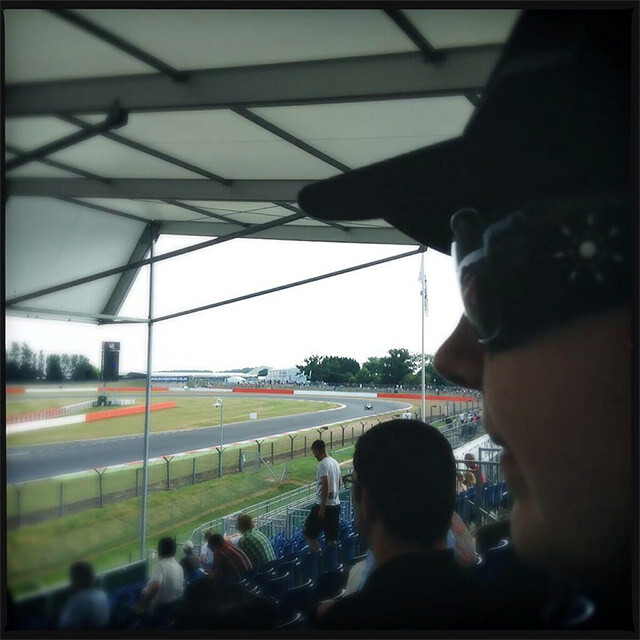 It's been a while since we saw F1 live, so we made the most of our day out with a bit of social media action. Here's a round up of what we saw. 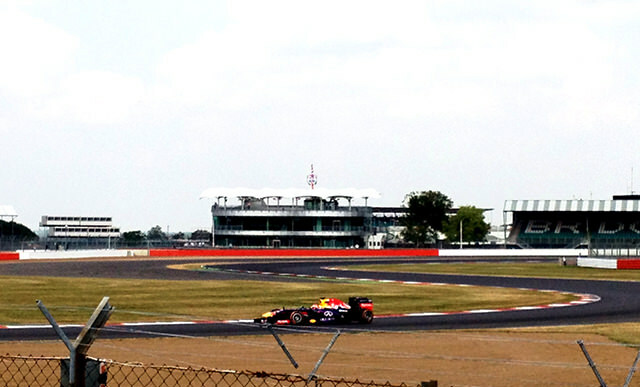 Our first glimpse of the cars in action came right by the new Silverstone wing and the new pit straight. Teams aren't running from these, instead basing themselves in the old pit garages, so for now, this was just a nice stretch of track for some photo taking. Are the cars louder or my ears more sensitive? Donned ear plugs before exiting the car park! This was only my second Vine, you'll have to forgive me. My third was slightly more successful. Mr C's Vine may have been the correct orientation, but the picture quality left a lot to be desired. We are notorious for not leaving the house, and even more infamous for discovering traffic problems whenever we do. However, this time we got to the track in an orderly fashion... and it turns out some weren't as surprised as we were! I'd forgotten just how pesky fences can be for photographs, but we wound our way around the circuit, seeking out some of the higher vantage points. Here a Red Bull circulates, with António Félix da Costa behind the wheel. It was very warm out there, with the sun beating down, but the nice blue sky made a good backdrop. Wednesday was a reasonably quiet day for incidents, although I did manage to spot a Sauber having a spin, and we heard the sounds of a very poorly Caterham as it put-putted its way back to the pitlane. You can't hear it in the picture, obviously, but that glorious lawnmower-esque sound echoed round the track as Alexander Rossi brought the car back to safety. With our main photographs out the way, we started to get a bit arty with things. It also wasn't long before my head appeared in a photograph - although I've just realised that my sunglasses have a pattern very similar to the F1Minute logo. Always on message, me. Obviously there are plenty of issues surrounding taking video at a race track, but testing is a slightly more relaxed event, and six seconds at a time doesn't seem to be pushing the boundaries too much. 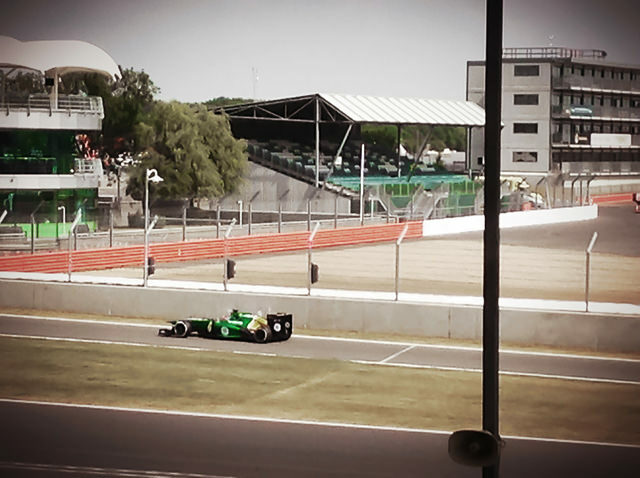 As the day started to wind down, we made our way to the grandstands opposite the garages in use. 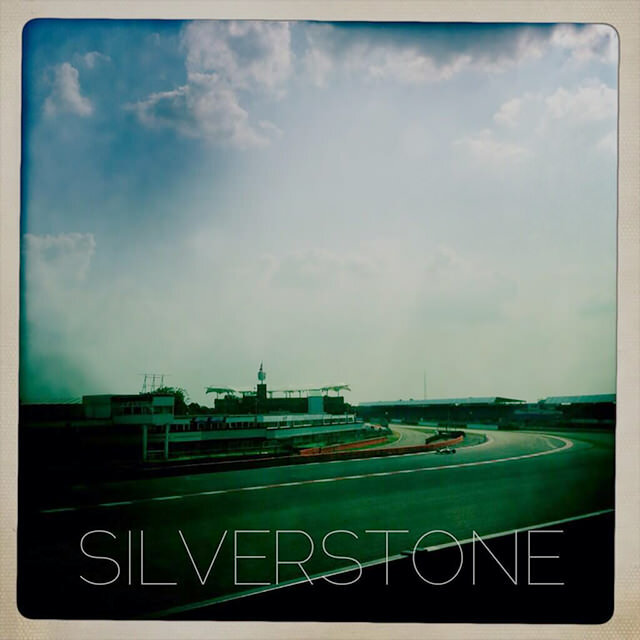 Silverstone can be so photogenic, when you manage to avoid the fencing and the tannoy speakers and the big posts and everything else that gets in the way.